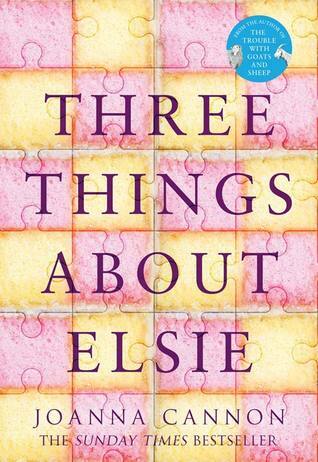 Talking About ‘Three Things About Elsie’ with Bibliobeth! Talking About ‘The Wife Between Us’ with Bibliobeth! BETH: This novel is written by two authors – Greer Hendrick and Sarah Pekkanen, sadly neither of whom I’m familiar with. I’m always a bit nervous when I read a book that is written by two people, no matter who those two people are. I always wonder about how the writing process and how they manage to write together coupled with worrying that it might feel a bit disjointed as a result. I’m not sure why I feel this as my last experience with dual authors was very positive! Luckily, I had nothing to worry about. From that very first read of the synopsis, I was hooked and remained that way from the beginning to the end of this novel – it was fast-paced, easy to read and very compelling. BETH: When you read that startling synopsis do you think it prepared you for the story within? Or were you still surprised by the twists and turns? CHRISSI: Confession time! I didn’t read the synopsis before I read this book. When I looked at your question, I just had to look it up. What a cracking synopsis! After reading this book, I know it had so many twists and turns along the way. I think if I had read it prior to starting the story I may have been very cautious about the characters and events that happen in the story. CHRISSI: Did you find any of the characters in this book likeable? If so, who? And if not, did it affect your enjoyment of the story? BETH: Good question! Hmm. I don’t always need to find a character likeable to enjoy a story. Sometimes, I even prefer to read about more unlikeable individuals as I think it makes for a juicier narrative but it was quite hard with The Wife Between Us. I say that because I didn’t particularly like ANY of the characters. I disliked one of them intensely (but the less said about that the better), I disliked others to different degrees and I felt indifferent to others still! I did however, really like Aunt Charlotte, she was a lovely addition to the novel. BETH: How do you think this novel compares to others in the genre? CHRISSI: It’s an interesting one. This genre is so heavily populated, yet I do think it’s a book that stands out. I quite often can guess where a book is going yet with this one, it did surprise me. I definitely had a WTF moment when reading it and the ending did surprise me. I didn’t predict the ending and I’m pretty sure my mouth did actually fall open during the last chapter. It also stands out because it’s written by two authors. I can often struggle with this as their styles can be so different, but with this book it really, really worked! CHRISSI: Without spoilers, were you able to predict the ending? BETH: Nope. Not at all. Not even a little bit. I texted you about 42% through and I was like: “I’m so confused right now!” and although I then started to understand what was going on quite quickly afterwards, the twists and turns were not over by a long shot. There are still a multitude of surprises to be found throughout the second half of the book and particularly at the end. 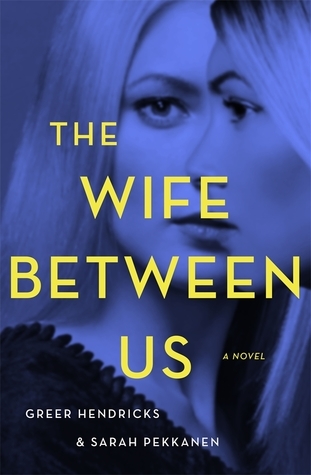 I love a novel where I can’t see something coming and it’s completely unpredictable and that’s what The Wife Between Us was for me. BETH: Did you enjoy the relationship between Vanessa and her Aunt Charlotte in this novel? How did it differ to the one she had with her mother? CHRISSI: Good question! The relationships in this book are fascinating. I feel like Vanessa’s relationship with Aunt Charlotte was much stronger than her relationship with her mother. They seem incredibly close. Aunt Charlotte seems to somewhat have Vanessa on a pedastal. I feel like Aunt Charlotte would tell Vanessa what she wanted to hear, whereas her mother might question her actions more? CHRISSI: Do you think this book would make a good film? BETH: Ooh, yes. Absolutely! I can totally see perhaps Reese Witherspoon and Patrick Dempsey in some of the lead roles and I think if it’s done in the right way, with the right cast, screenplay and director, it could be absolutely explosive. I’d definitely watch it. I would also hope that I would have forgotten the ending by then so I could be surprised and shocked all over again! BETH: Would you read another book by these authors? CHRISSI: I would! I see that the authors have another book coming out next year. I’m definitely intrigued to read that! Talking About ‘You Me Everything’ With Bibliobeth! CHRISSI: What do you think of this book’s title? Does it fit or would you call it something else? BETH: Ooh, tough question. 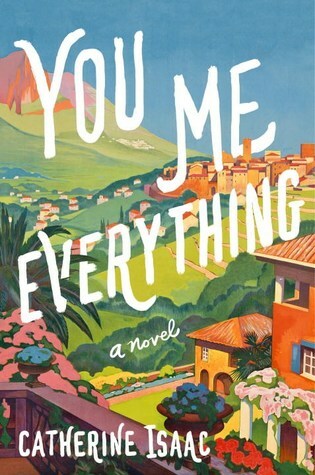 I have to admit, the title You Me Everything is rather generic but I don’t know if that’s necessarily a bad thing. It could encompass a number of different relationships that Jess has in the book – for example with her parents or more specifically her mother, or the one she has with her son OR the one she has with the father of her son, Adam. Maybe the title is actually about about all three?! In that way, it’s quite a good title I think because it doesn’t give anything away about how the story or any of these relationships could be portrayed in the novel. BETH: Were you initially pulled into this story by the prologue or did it take you a bit longer to become invested? CHRISSI: I was definitely invested from the very beginning. I feel like it was some sort of wizardry or something because I don’t usually get invested so quickly. I was desperate to find out more about Jessica. I even wanted to know more about Adam although I wasn’t so keen on him as character. I wanted to know if my first impressions of him were correct. I won’t say if they were or not though! CHRISSI: Without spoilers, what did you think of Jessica and Adam’s relationship? BETH: This is going to be so hard to talk about without spoilers but I’ll do my best. Adam is a very strange, not necessarily likeable character, particularly when we first meet him and as a result, I didn’t like him at all, especially in the opening chapter when Jess is giving birth to their son, William. There were times when I didn’t buy into their past, present or future situation at all and I found myself getting quite frustrated with it, I have to admit. Then the author throws in a twist that I wasn’t quite expecting and I found myself feeling slightly differently – I won’t say if it’s for better or for worse! BETH: What did you think of the relationship between Jess and her son William? CHRISSI: I feel like overall Jess wanted the best for her son. Jess still feels hurt from the way her relationship ended with William’s father, but she has reason to want William and his father to be close. I liked how she swallowed her pride to ensure they had a relationship. I feel like Jess is such a strong character. Although she did have her family supporting her through bringing up William, she was a single parent. William is incredibly well-adjusted and perhaps wiser than Jess gives him credit for. I think their relationship was utterly believable and I loved how much they clearly cared for one another. CHRISSI: Did you think the relationships within this story were realistic? BETH: I think I might have touched on that in my previous answer regarding Jess and Adam, the latter of which I was especially suspicious of throughout the narrative. As for the other relationships, I did find them quite realistic, particularly Jess’s relationship with her mum which at times, broke my heart (if you’ve read this already, you’ll know what I’m referring to!) I also really enjoyed Jess’s relationship with her son William whom she raised practically on her own as a single mother and in turn, found Williams’s relationship with his father, Adam difficult to stomach for perhaps obvious reasons. BETH: Jess has to make some very tough decisions in this novel. Without spoilers, do you think she always did the right thing or would you have acted differently? CHRISSI: Ooh yes, Jess certainly has tough decisions to make. It’s hard to discuss without spoilers but I shall do my best. I feel like Jess was very much guided by what her parents wanted her to do with regards to William’s relationship with his father. I could understand why she wanted to stay at home and think I would have that struggle as well. I think I would want to be more truthful with people around me, but I can totally see why she kept some things secret. I’m sitting on the fence with this answer really, but I can see why Jess made the choices that she did. She’s a strong, inspirational character who keeps going despite the hardships she’s facing. CHRISSI: This book has been compared to Me Before You. Do you see the similarities and do you feel like this is a fair comparison? BETH: It’s even got a similar title – er…kind of. I can see the similarities i.e. female protagonist, difficult romantic relationship and health issues BUT I would hate to compare it to one of my all time favourite reads as I don’t think it’s fair to compare a story that can stand on its own perfectly well and has major differences which make it very UNLIKE Me Before You. The only way I can compare it is to say that I really liked the female lead, appreciated the moments of joy and heart-break and was touched by a fair few passages in the narrative. CHRISSI: I would! I thought Catherine Isaac had a very engaging writing style. I really liked how her characters were developed. I loved how this story was an emotional read too. It certainly had depth. Talking About Last Letter Home With Bibliobeth! When, 70 years later, Briony begins to uncover Sarah and Paul’s story, she encounters resentments and secrets still tightly guarded. What happened long ago in the villa in the shadow of Vesuvius, she suspects, still has the power to give terrible pain. CHRISSI: What were your initial impressions of this book? Did it hook you from the start or did it take you a while to get stuck into the story? BETH: I have to admit, like a lot of books in the past (and very recently!) I judged this book by the cover again. WHY do I keep doing that?! I thought it looked like a bit of a fluffy, contemporary romance which is a genre I’m not really into but I was willing to give it a chance, especially when you told me that you thought I would enjoy it and that it had a historical edge that reminded you of one of my favourite ever books, The Bronze Horseman by Paullina Simons. However, I do have to be honest and say I wasn’t initially hooked by the beginning. 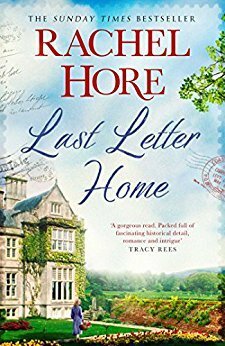 When a narrative flows across two time periods, I often find myself preferring the historical tale and this was the same initially speaking, for Last Letter Home too. BETH: In one of the very first scenes, Briony in contemporary times is trolled for some remarks she makes on feminism on a TV show. How do you think this affects her self esteem initially in trying to find information out about her mysterious grandfather? CHRISSI: I think initially, Briony was really knocked by the after effects of the TV show. It takes her a while to get over how she was treated in the aftermath. Trolls are evil and can totally affect your self-esteem and self-worth, so this was utterly relatable. I feel like Briony was quite unstable at the start of the story and deeply affected. However, getting stuck into finding out more information about her grandfather draws Briony out of her shell and begins to give her some self belief. She has determination, that’s for sure. CHRISSI: Do you think the dual timeline worked for this story? BETH: At the beginning, it took a little while for me to get into it. I kept getting the main character in the contemporary time period, Briony messed up with Sarah in the historical period and it took me a little while to get their stories and who they’re involved with in the present time straight in my mind. However, once I had got this sorted, I really enjoyed how the dual time periods told such a fascinating story (from BOTH women’s points of view) and there were certainly secrets revealed that I wasn’t anticipating. BETH: Were you aware at any points of the men “not to trust” and the men “who could be trusted,” in the narrative? Was it interesting to see the parallels between Briony and Sarah’s own lives? CHRISSI: I’m always wary of characters in books which might say something about me. I was sure that Paul could be trusted as he seemed to be such a sweetheart. I loved reading about his interactions with Sarah. I really enjoyed the dual narrative of this story. It was interesting to see how Briony and Sarah shared many qualities with one another. They were both persistent, driven characters in their own time. I also liked how both story lines had elements of betrayal and deceit within them. CHRISSI: Did you have a favourite narrative? BETH: The historical narrative was hands down my favourite narrative. Although its not as overtly romantic as The Bronze Horseman, I can really see why you made that connection. I felt so awful for Sarah and her love interest in the novel, the strange triangle she found herself in and how other people’s attitudes at the time affected how she should be behaving/where she should be looking for a husband. I only wish we had heard more about her younger sister, who I found an incredibly intriguing character. BETH: Sarah and her younger sister both have to deal with death at quite a young age – how do you think they cope with this as individuals? CHRISSI: Did you feel like the chapters based during WWII were realistic? BETH: I did. It wasn’t overtly graphic but it felt really authentic. It was simply the story of how normal people cope in extraordinary circumstances when food is reduced, danger is prominent and they are forced to live their lives they may not necessarily have imagined living them. One of the stand on scenes in the entire novel for me has to be when Paul is sent away to Italy as part of the war effort and has to witness a very difficult event, something that ends up changing his life forever. CHRISSI: I think it would depend on the subject matter. I did really enjoy Rachel Hore’s writing and the story was interesting, but she wasn’t an author that I’d read automatically when her book released.